Scott played in the 8th grade volleyball championships today. His team didn't win, but they played quite well. It always surprises me how good Scott is at volleyball. He's got a good serve, sets the ball well, and plays very well at the net. 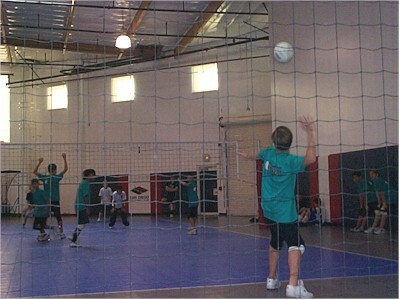 Maybe volleyball skills skipped a generation; I recall Dad being quite good at volleyball when he played at Nature Camp.